Ski the “Top of Colorado” with SSC!! Join us for an escape to an undisturbed former mining town tucked away in a box canyon, surrounded by peaks of the San Juan Mountains: the largest concentration of 13,000’ and 14,000’ peaks in North America - the Top of Colorado! You'll discover miles of uncrowded slopes and diverse terrain – over 2000 skiable acres! 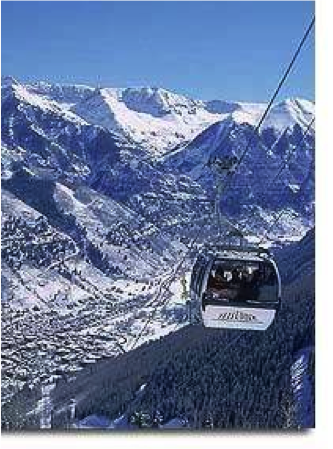 The readers of Ski Magazine have rated Telluride as the top ski destination in Colorado. “Vintage charm, modern amenities and breath taking scenery have travelers leaving the crowds behind and choosing Telluride". In 2015, Ski Magazine voted Telluride #1 in Scenery, #1 in Character and #1 in Overall Satisfaction. The Peaks Resort will be our home for the week. Experience the height of tranquility, refreshment and guest service at this luxurious hotel. 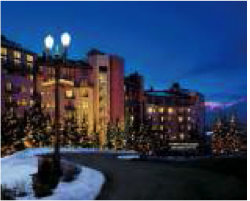 After skiing the breathtaking slopes of the Rocky Mountains, savor mouthwatering cuisine at one of their four onsite restaurants featuring locally sourced dining. Other amenities include: one of Colorado's largest Spas, Indoor/Outdoor Heated Pools, Hot tubs, Steam Rooms and Sauna, Fitness center with cardiovascular and weight-lifting equipment, onsite Rental Shop, and Free high-speed Internet access; all in a fully non-smoking environment.